This Saturday, ChiIL Live Shows will be ChiILin' at a Court Theatre, a long time pillar of Chicago's theatre scene that's been around for an impressive 63 seasons! We looking forward to catching Court Theatre's next production, The Belle of Amherst, directed by one of our long time favorites, Sean Graney. Check back soon for our full review. Under the continuing leadership of Charles Newell, Marilyn F. Vitale Artistic Director, and Stephen J. Albert, Executive Director, presents The Belle of Amherst by William Luce, directed by Sean Graney and featuring Kate Fry as Emily Dickinson. The Belle of Amherst runs November 2 - December 3, 2017 at Court Theatre, 5535 S. Ellis Ave.
Emily Dickinson's own original poems, diary entries, and letters welcome us into her Massachusetts home, where she shares snippets of joy and creation amongst the heartache of an isolated and misunderstood life. This 1976 play by William Luce offers a glance into the complex life of one of the most prolific poets of our time. Playwright and director Sean Graney returns to Court for the fourth time to direct The Belle of Amherst, with Kate Fry (Electra; Caroline, or Change) starring as Emily Dickinson. "Sean Graney and I have been working on finding the perfect project to bring one of Chicago's most creative directors back to Court," notes Charles Newell, Marilyn F. Vitale Artistic Director. "The Belle of Amherst was a perfect combination of Sean's passion and our theatre's strengths, and we can't wait to see how the talented Kate Fry brings Emily Dickinson to life for our audiences this fall." The creative team includes Arnel Sancianco (scenic design), Samantha C. Jones (costume design), Mike Durst (lighting design), and Christopher M. LaPorte and Andre Pluess (sound design). The production stage manager is Amanda Weener-Frederick. WILLIAM LUCE (Playwright) wrote his Broadway and London success The Belle of Amherst for Julie Harris, who won her fifth Tony Award for Best Actress for her portrayal of Emily Dickinson. For American soprano Renée Fleming, Luce wrote My Business Is To Love, which Fleming premiered in Lincoln Center and London’s Barbican Centre, with Harris and Bloom co-starring. Luce’s Broadway hit Barrymore starred Christopher Plummer as legendary John Barrymore. 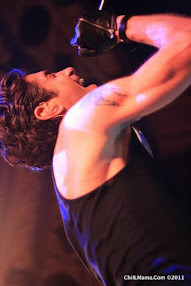 Plummer won a Tony Award for Best Actor. Barrymore’s UK production, titled One Helluva Life, starred Tony Award winner Tom Conti. For her portrayal of Isak Dinesen in Luce’s play Lucifer’s Child, Julie Harris received a Tony nomination. 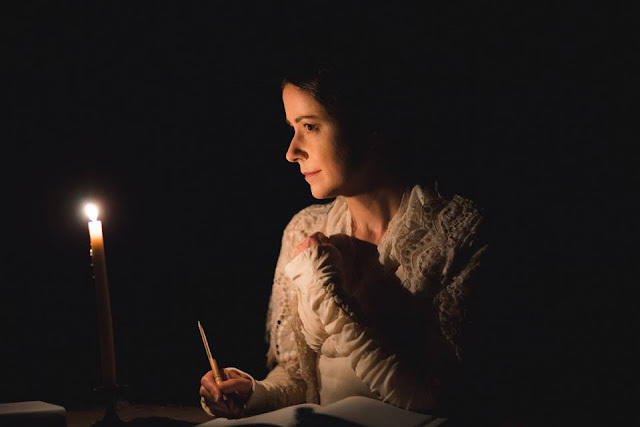 Harris also starred in Luce’s play Brontë, written for WGBH and Irish Television. The WGBH production won the Peabody Award and Columbia University’s Armstrong Award. Lillian, Luce’s Broadway play on Lillian Hellman, starred Tony Award actress Zoe Caldwell, with productions again in London and the Sydney Opera House. Luce’s play Bravo, Caruso! celebrated The Cleveland Play House’s 75th anniversary. Luce’s play Zelda starred Olga Bellin off-Broadway; later as The Last Flapper, the play starred Piper Laurie. Luce’s two plays, Chanel and Nijinsky, premiered at Parco Theatre in Tokyo. Luce’s Sound Portrait of William Shakespeare for NPR starred David Warner, David Dukes, Peter Donat, Arthur Hill, Julie Harris, Joan Hackett and Marian Mercer. Baptiste, Luce’s comedy about Moliére, premiered at Hartford Stage. Luce is twice a Writers’ Guild Award nominee for his CBS movies The Last Days of Patton and The Woman He Loved. To composer Henry Mollicone’s music, Luce wrote the libretti for two works: their new opera Gabriel’s Daughter, which premiered in Colorado; and A Rat’s Tale for orchestra, chorus and narrator, with its premiere in California. Their latest work for orchestra, chorus and soloists is Beatitude Mass. SEAN GRANEY (Director) is the Artistic Director of The Hypocrites, a company he started in 1997. New York: Sophocles: Seven Sicknesses (The Flea; adapted and directed). 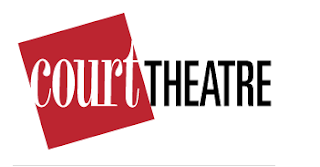 Court Theatre: The Mystery of Irma Vep, The Comedy of Errors, and What the Butler Saw. Chicago: The Pirates of Penzance, The Mikado, H.M.S. 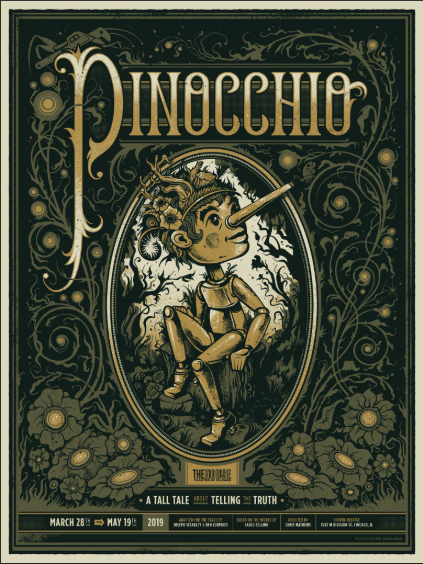 Pinafore with The Hypocrites; American Repertory Theater, Chicago Shakespeare Theater, Goodman Theatre, Milwaukee Repertory Theater, Steppenwolf for Young Audiences, Chicago Children’s Theatre. Regional: Utah Shakespeare Festival, Oregon Shakespeare Festival, Berkeley Repertory Theatre, Actors Theatre of Louisville, Shakespeare Festival St. Louis, and Children’s Theatre Company in Minneapolis. Awards: A year-long fellowship at the Radcliffe Institute for Advanced Study at Harvard University, where he completed All Our Tragic, his 12-hour adaptation combining all 32 surviving Greek tragedies; participated in the NEA/TCG Career Development Program for Directors, won four Joseph Jefferson Awards. KATE FRY (Emily Dickinson) has performed in over a dozen productions at Court, most recently Electra and The Hard Problem. Other Chicago credits: Goodman Theatre, Writers Theatre, Chicago Shakespeare Theatre, Northlight Theatre, Victory Gardens, Theatre at the Center, Marriott Theatre, Apple Tree Theatre, and Candlelight Playhouse. 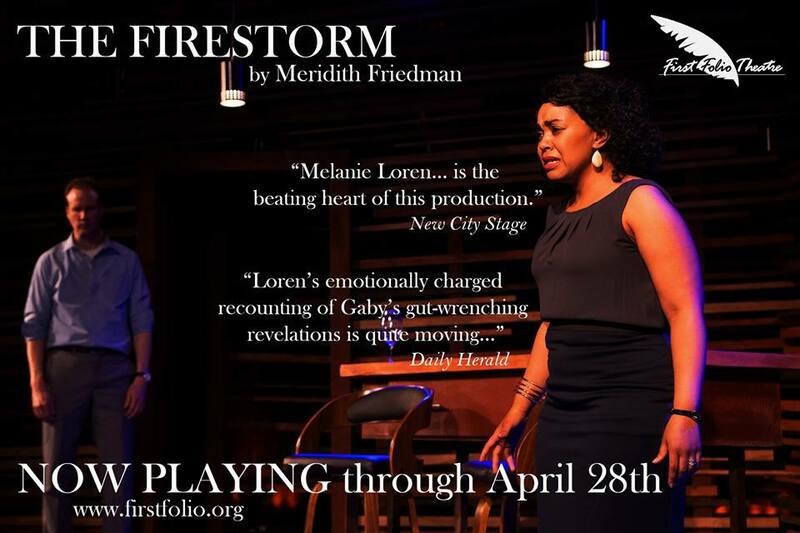 Regional credits: McCarter Theatre Center in Princeton, NJ, Center Theatre Group in LA, Repertory Theatre of St. Louis, and Lincoln Center. TV credits: Boss (Starz), Empire (Fox), and Chicago PD (NBC). She received three Joseph Jefferson Awards, an After Dark Award, Chicago Magazine’s Actress of the Year, and the Sarah Siddons Award for Chicago’s Leading Lady. Fry is married to actor/teacher Timothy Edward Kane. They have two sons. *Student, military, and senior discounts available. Five, four, and three play subscriptions to Court’s 2017/18 season range from $96 to $300 and are on sale now. 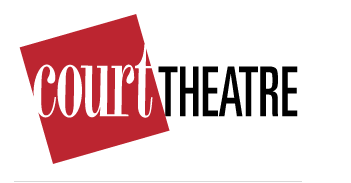 To purchase a subscription or to receive more information, call the Court Theatre Box Office at (773) 753-4472, or visit Court’s website at www.CourtTheatre.org. Individual tickets for all shows will be available on August 1st.